Azadeh Tajpour completed this box in Davis Square in spring 2013. 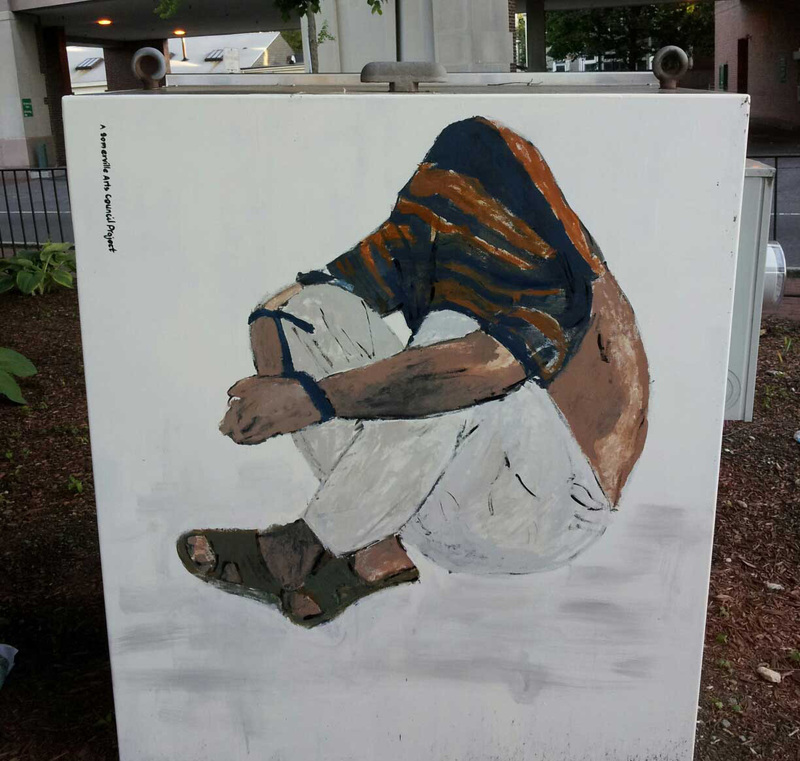 "This painting is based on a found image of an Iraqi detainee. The final work, however, goes beyond the specific conflict or situation and questions our own relationship with power, submissiveness and complicity regarding what happens in our time and our name."